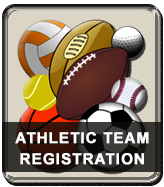 All students must have written proof of a valid physical examination signed by a physician prior to participation in High School Athletics. A physical exam covers the student for 13 months from the exam date. A student’s eligibility will terminate once a physical has reached the 13 month limit. Interim notes are not acceptable. Please make sure you have sent in an updated physical.